The Roll of Honour in Devoran Village Hall lists all those Devoran men who served in WW1 including the casualties. 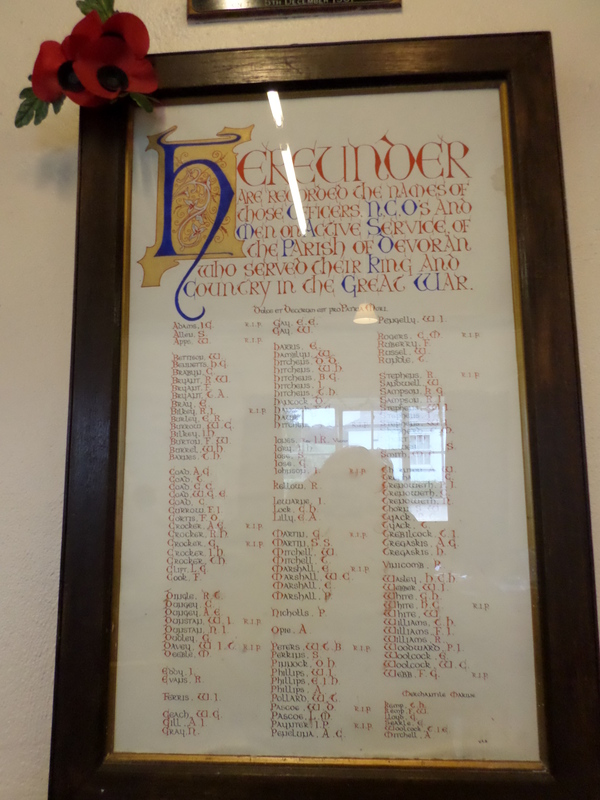 The Roll of Honour and names can be found on this blog post. 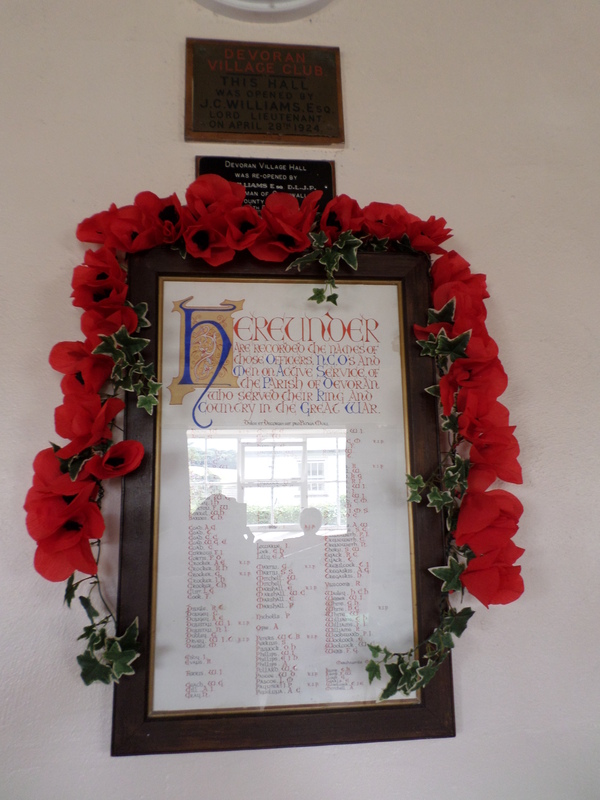 These pictures were taken at the ‘Poppies Coffee Morning’, 19 July 2014 celebrating the Devoran Roll of Honour in the Devoran Village Hall and marking the WW1 centenary. Shortly afterwards the Roll of Honour went off for paper conservation as part of the Village Hall restoration project. It had become damaged by damp over many years. Who created or wrote the Devoran parish Roll of Honour? We think the GLB whose initials are at the bottom of the Roll of Honour are the initials of the local woman who compiled it and did the beautiful calligraphy or lettering on both the first draft and the finished Roll of Honour. The Roll of Honour names only the men who served from Devoran. Read our blog post about “Life In Devoran in WW1” for a glimpse of what ‘national service’ several Devoran women were involved in.